Takiema Bunche-Smith is the Director of Early Childhood Programs at CCRE. 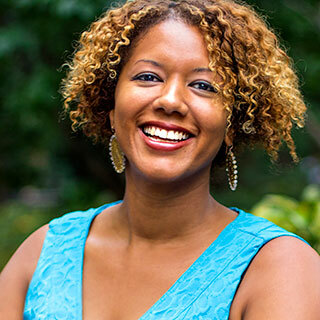 Takiema has worked for over two decades in support of young children and families in New York City through her work with teachers, program leaders and policy makers. She began her career as a preschool and elementary teacher and then transitioned into various early childhood education management positions where she supported the implementation of developmentally and culturally appropriate curriculum and programs serving prenatal moms through four year olds. Her work has been guided by a deep commitment to racial equity, social justice, and a belief that collaboration and reflection has the power to change people and systems for the better. Takiema holds Master’s degrees in Early Childhood & Elementary Education from Bank Street College of Education and NYU Wagner’s School for Public Service.